Finance your Northern Rhode Island dream home Imagine buying your dream home. Connect with a lender to help you make it happen. Please do not submit any confidential information. 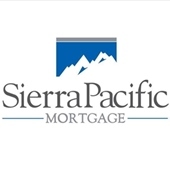 This will be shared with both Sierra Pacific Mortgage | 1788 and RE/MAX Town & Country. Let me know how I can assist you with your Northern Rhode Island mortgage needs. I am here to help!